A new European satellite carrying instruments to track changes in the world’s oceans, measure receding ice sheets and chart vegetation growth climbed into orbit Wednesday on top of a Russian Rockot launcher. 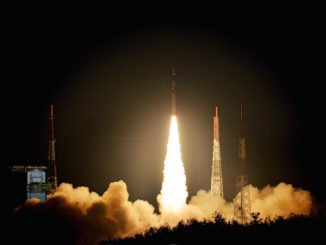 The successful launch added the seventh satellite to the Copernicus Earth-observing fleet, a network of environmental observatories funded by the European Union in partnership with the European Space Agency. The Sentinel 3B spacecraft — weighing approximately 2,535 pounds (1,150 kilograms) — lifted off at 1757:51 GMT (1:57:51 p.m. EDT) Wednesday from the Plesetsk Cosmodrome in far northern Russia. The satellite rode a Rockot booster through an overcast sky at the remote forested military base, turning to the north-northwest with hydrazine-fueled engines generating 420,000 pounds of thrust. Liftoff occurred at 8:57 p.m. local time at Plesetsk, located around 500 miles (800 kilometers) north of Moscow. The Rockot’s lower two stages were taken from Russia’s stockpile of decommissioned UR-100N, or SS-19, ballistic missiles. Originally built to carry nuclear warheads, the missile stages were repurposed for satellite launches. The missile stages completed their back-to-back firings in the first five minutes the mission, and a Breeze KM upper stage — added to the UR-100N booster to convert it into a satellite launcher — ignited for the first of two burns to place Sentinel 3B into orbit. 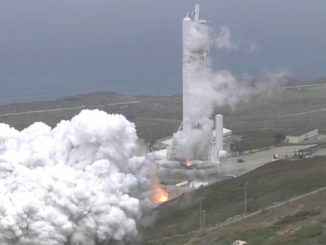 The Breeze KM upper stage burned for more than nine minutes to reach a preliminary elliptical parking orbit, then reignited at 1912 GMT (3:12 p.m. EDT) for around 30 seconds to circularize its orbit at an altitude of approximately 500 miles, or 800 kilometers. The Sentinel 3B satellite, built by Thales Alenia Space, deployed from the Breeze KM stage soon after the rocket’s second firing, and engineers at the European Space Operations Center in Darmstadt, Germany, received telemetry from the spacecraft as it soared over a ground station in Kiruna, Sweden, at around 1930 GMT (3:30 p.m. EDT). The radio signals from Sentinel 3B confirmed the Breeze KM upper stage, which conducted its pre-programmed maneuvers outside of communications coverage, put the new environmental monitoring satellite in the correct orbit. Controllers said the satellite unfurled its solar array wing to begin producing electricity, one of the first major steps in any satellite’s life after launch. Nearly three days of intense checkouts and activations are planned for Sentinel 3B through late Friday or early Saturday, then controllers will proceed with commissioning of the satellite’s observing instruments. Sentinel 3B joins an identical observatory named Sentinel 3A which launched in February 2016. It’s the seventh satellite in the multibillion-euro Copernicus program managed by the European Commission, the EU’s executive body. Billed by ESA as the world’s most ambitious program of space-based Earth observation, the Copernicus fleet is intended to provide data on the planet’s oceans, land surfaces and atmosphere with unprecedented rapidity to scientists, policymakers, businesses, security officials and the public. The data from the Sentinel satellites are distributed worldwide free of charge. 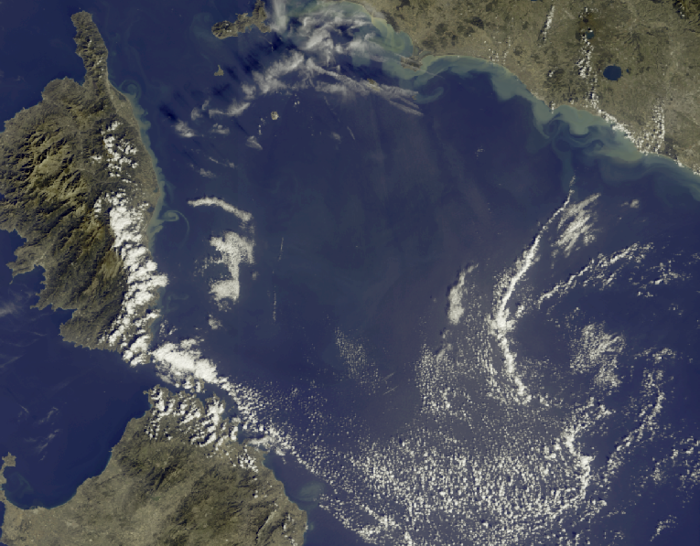 European officials consider the Sentinel satellites part of a continuing operational service, developed in series rather than as one-off science missions. With the launch of Sentinel 3B, the Copernicus program has a full complement of three satellite families. The first two satellites in the Sentinel 1 and Sentinel 2 families, which are focused on disaster response and land surveys, were launched from 2014 through 2017. Another satellite, named Sentinel 5 Precursor, launched last October to measure global air quality. Post-launch testing and calibration of the Sentinel 5 Precursor satellite ended earlier this week, just in time for control teams to shift their focus to Sentinel 3B, which is kicking off a seven-year mission. ESA is in charge of developing and launching the Sentinel satellites on behalf of the EU. 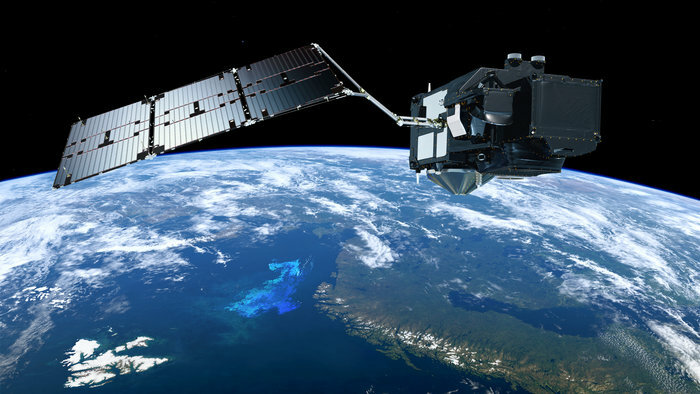 For Sentinel 3B, and its predecessor satellite Sentinel 3A, the European weather agency Eumetsat is responsible for mission operations and the distribution of marine data, while ESA will handle the dissemination of land environmental data. Launched into an orbit circling over the poles, Sentinel 3B carries an ocean and land color instrument, a sea and land surface temperature radiometer, a dual-frequency synthetic aperture radar altimeter, and a microwave radiometer. The sensors will look for ocean pollution and track ocean currents, measure the temperature of sea water and ocean waves, and detect changes in ice and vegetation coverage. 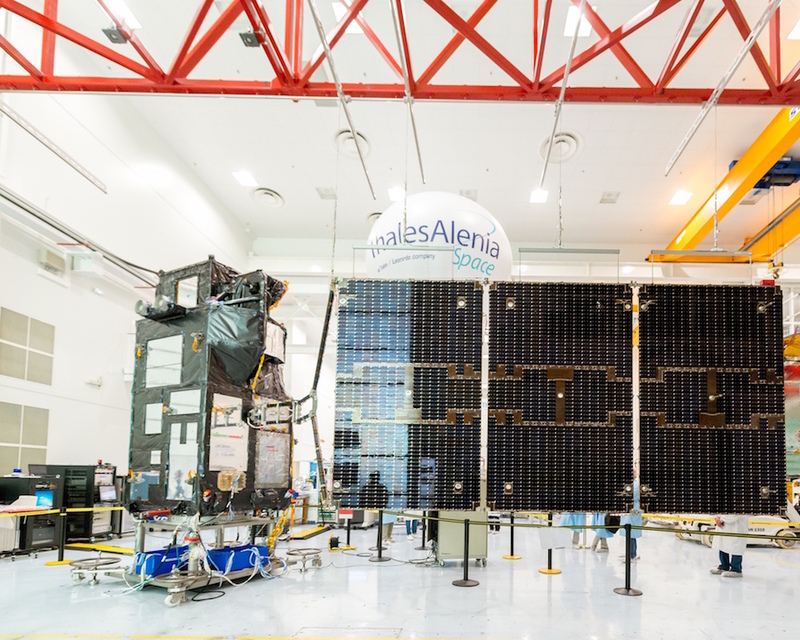 The Sentinel 3A and 3B satellites can also measure the height of rivers and lakes, and detect wildfires, a capability demonstrated during last year’s fire season in California. Once it completes an initial checkout, Sentinel 3B will fly in formation with Sentinel 3A for around four months, loitering at a distance of about 138 miles (223 kilometers) to allow scientists to calibrate measurements from the new satellite and ensure its instruments are performing as expected. “During the commissioning of Sentinel 3B, the two Sentinel 3 satellites will be making the same observations 30 seconds apart, which will allow us to perform very accurate cross-calibration, as we did in 2016 for Jason 2 and Jason 3,” said Francois Montagner, Eumetsat’s competence area manager for marine applications. “As a result, the constellation of Sentinel 3A and 3B can really be seen as a single source of measurements. Some time in September, Sentinel 3B should be declared operational, once the new satellite moves a farther distance from its twin, allowing both observatories to work in tandem and collect data at the same place on Earth every one-to-two days. “With Sentinel-3B, Europe has put the first constellation of Sentinel missions into orbit — this is no small job and has required strong support by all involved,” said Josef Aschbacher, director of ESA’s Earth observation programs. “It allows us to get a very detailed picture of our planet on a daily basis and provides crucial information for policymakers. “It also offers lots of opportunities for commercial companies to develop new innovative services. And, the free and open data policy allows every citizen to have updates for their own use,” Aschbacher said in a statement. Sentinel data are shared with and redistributed by numerous government agencies and companies, including NASA, NOAA and the U.S. Geological Survey in the United States, Geoscience Australia, institutions across Europe, and Amazon and Google, according to Aschbacher. “We learned a lot (from the Sentinel 3A mission),” said Craig Donlon, ESA’s Sentinel 3 mission scientist. “We have scientists working in Europe and all over in the international operational laboratories, as well as in the research institutes, using satellite data from Sentinel 3 together with other instruments on other satellites to address a whole variety of different questions. Two more copies of the Sentinel 3 satellite family are in development for launch in 2023 and 2024 to replace the Sentinel 3A and 3B spacecraft. The Sentinel 3A and 3B satellites have a combined value of approximately 515 million euros, or about $625 million at current exchange rates, according to Bruno Berruti, ESA’s Sentinel 3 project manager. About two-thirds of that cost can be attributed to Sentinel 3A because it was the first satellite in the series, he said. After accounting for the value of ESA’s contract with Eurockot, a German-Russian venture in charge of commercial Rockot launch services, the cost of Sentinel 3B’s mission could be estimated at around 200 million euros, or roughly $240 million. The launch of Sentinel 3B may have been the last commercial Rockot flight under the auspices of Eurockot, a partnership between European-based Ariane Group and Moscow-headquartered Khrunichev State Research and Production Space Center. 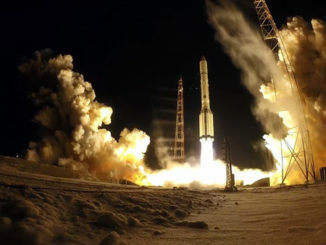 Several more Rockot missions are planned for Russian government satellites, but Eurockot has no more commercial missions booked, and Russian news reports have suggested the Rockot program will soon end. Small ESA satellites like the ones that used to regularly launch on Rockot boosters are now expected to fly on European Vega rockets launched from European territory in French Guiana, a region of South America administered by France. Future satellites from Eurockot’s other previous customers are also reserved to launch on other rockets. Rockot boosters fitted with Breeze KM upper stages upgraded for satellite launches have flown 28 times since 2000, a record that includes a 2005 mission that led the destruction of an ESA science satellite, and a 2011 launch that deployed a Russian military payload into the wrong orbit. The other 26 missions successfully placed their payloads in their intended orbits.